Maintained by the U.S. Environmental Protection Agency, the Emissions & Generation Resource Integrated Database (eGRID) is a comprehensive inventory of environmental attributes of electric power systems. eGRID eGRID integrates data sources on power plants and power companies from three different federal agencies: EPA, the Energy Information Administration (EIA), and the Federal Energy Regulatory Commission (FERC). Emissions and emission rates for two additional Greenhouse Gases (GHGs), namely methane (CH4) and nitrous oxide (N2O), are included beginning at the plant level. Four new resource mix variables, combustion and noncombustion generation in terms of MWh and percent, are included beginning at the plant level. Seven new combustion output emission rates for each aggregation file — for ozone season NOx and annual NOx, SO2, CO2, CH4, N2O, and Hg — are included beginning at the plant level. New plant level flags indicate whether the plant burns any amount of coal, whether the plant combusts fuel, and whether the latitude and longitude values are based on the county centroid. EPA uses eGRID as a key data source for tools and programs such as [Power Profiler http://www.epa.gov/cleanenergy/energy-and-you/how-clean.html], Climate Leaders, [Portfolio Manager http://www.energystar.gov/index.cfm?c=evaluate_performance.bus_portfoliomanager], and [Personal Greenhouse Gas Emissions Calculator http://www.epa.gov/climatechange/emissions/ind_calculator.html]. eGRID is also used by other Federal Government agencies such as Oak Ridge National Laboratory (ORNL) for their Combined Heat and Power Calculator, the National Energy Technology Laboratory (NETL) for their sponsored Distributed National Carbon Sequestration Database and Geographic Information System (NATCARB), and the National Renewable Energy Laboratory (NREL) for their micropower distributed generation optimization model named HOMER. States rely on eGRID data for electricity labeling (environmental disclosure programs), emissions inventories, and registries (such as the California Climate Action Registry), and for policy decisions/impacts such as output based standards; many states also publish state specific eGRID data on the web. RECS Tracking Systems, such as ISO-New England’s Generation Information System (GIS) and PJM Interconnection’s Generation Attribute Tracking System (GATS) utilize eGRID data. 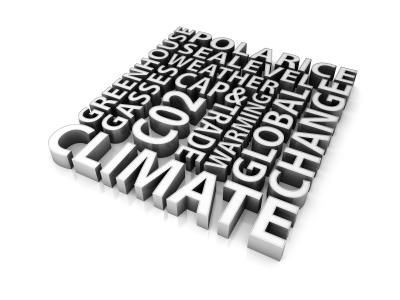 Emission Solution’s Carbon Footprint Calculator. This page was last edited on 12 May 2011, at 17:38.